Last edited by Sharps; 01-28-2019 at 07:17 PM. 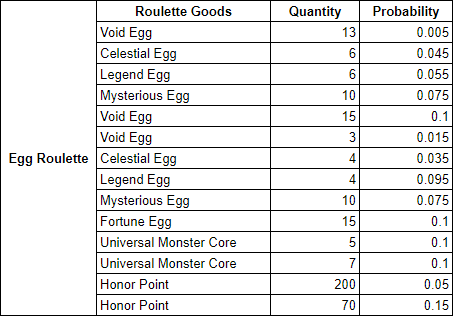 Roulette constantly giving out x15 void eggs at a very over the top rate......Oh well though, right? The smell of an incoming rollback is getting stronger by the second. Meanwhile: Universal core x5 15-20 times. Gained over 150 void eggs with 450j, definitely something amiss. 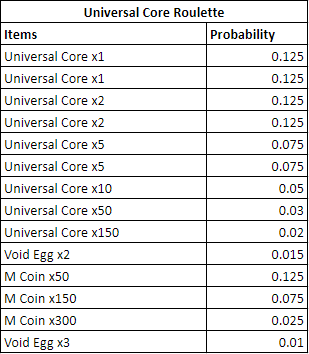 Not to mention that 100% of the void eggs obtained are from the x15, which should be mysterious eggs if I'm guessing correctly, and none of them came from x3 or x13. 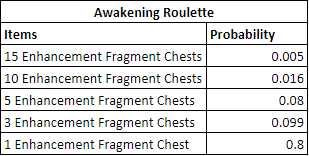 From what I can see in the chart it's swapped with one of the fortune egg outcomes... But of course I keep hitting the actual fortune egg. *eyeroll* To have so much trouble hitting a 10% lmao. Has everyone suddenly turned stupid and illiterate and unable to read? Look at the probabilities. 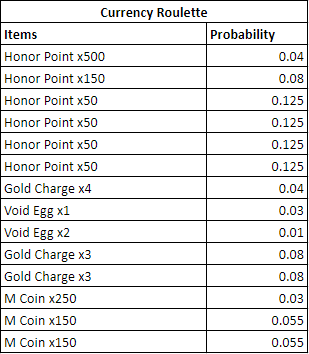 The probability to get 15 void eggs are the same for the 15 fortune eggs, the 5 & 7 universal cores and the 70 honor points (which is 5% more). That is why you're all getting those ones the most. Stop freaking out and just read and think for 20 seconds, as difficult as it might be. There won't be a roll-back because the percentages are intended. Can we all just calm down, please? Everyone so skeptical that they are gonna rollback. 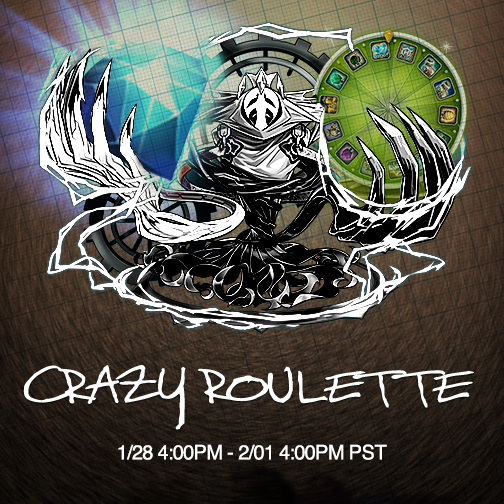 Since they have the rates posted, it won't be rolled back.